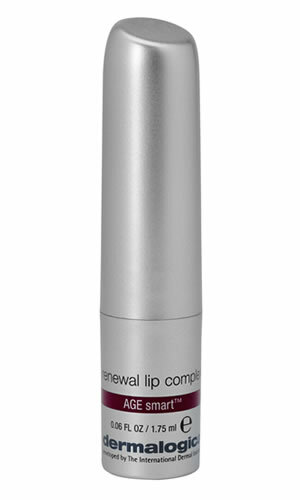 A daily lip treatment that restores delicate tissue, minimizes contour lines and helps prevent the signs of aging. Contains no artificial fragrance or color. Vitamin-rich emollients Cocoa Butter, Shea Butter, Avocado, and Wheat Germ smooth and condition to help prevent dehydration. Contains an exclusive peptide that helps prevent the formation of skin-aging AGEs. Palmitoyl Oligopeptide conditions while helping to stimulate collagen formation and minimize fine lines. Palmitoyl Oligopeptide: a peptide molecule that conditions skin and stimulates collagen formation to minimize fine lines. Theobroma Cacao (Cocoa) Seed Butter, Persea Gratissima (Avocado), Oryza Sativa (Rice) Bran, Triticum Vulgare (Wheat) Germ and Butyrospermum Parkii (Shea Butter): emollient and vitamin-rich plant lipids that smooth and condition lip tissue while helping to prevent dehydration. Hyaluronic Acid: provides increased hydration and improved elasticity.